I’ve prayerfully worked on a passage and now I’m standing in the pulpit preaching, going through my notes, when suddenly I feel that I should be saying something quite different. I sense that the congregation gathered in front of me need to hear something different – perhaps an encouragement that God will definitely come through for them this week. I feel the growing weight of this new burden and eventually I ditch my notes, shut my Bible and give the congregation this new direct, living, rhema message. Do we believe these three truths? The Spirit wrote the Bible (2 Peter 1:19-21; John 14:26) – it is his sword (Eph. 6:17). The Spirit speaks – present tense – when the Bible is opened (Mark 7:6; Heb:3:7-4:12; 12:5; Rev. 2:7 etc.). What he said then he says now. The ancient text is ‘living and active’ and razor sharp (Heb. 4:12). Preparation is a spiritual activity. It is the Spirit who gives us understanding, who moulds us with his word, who gives us a message, a fire in the bones… as we think over the text (2 Tim. 2:7). Sequential. Working through books of the Bible, following their flow. The Spirit wrote the Bible and he wrote it in books and letters with particular orders and structures. He didn’t give us a random jumble of unconnected sentences and unconnected incidents. He gave us arguments like Romans 8 that make sense as you go through them and as you see how they work in bigger arguments (the whole book). He gave us stories – often stretching over several chapters. He wanted to teach us Acts 1 before chapter 2 and then he wanted to teach us chapter 3 and 4… Are we wiser teachers than him? Surely to work through a passage from beginning to end and then start next week with the following passage is Spirit-led preaching! Far from binding and restricting him it’s sitting at his feet and letting him teach us. Awesome. As the Bible is opened we are hearing the living God speak. We are experiencing something far more terrifying and wonderful than the Israelites at Sinai (Heb. 12:18-25). Prepared. We must reject the unbiblical idea that ‘if I work then God doesn’t work’ or ‘if I think and prepare then the Spirit can’t speak’. We also mustn’t think that everything spontaneous is ‘the Spirit’ and everything prepared is human. If the Bible is the Spirit’s definitive Word and if he has promised to open my eyes to his beautiful portrait of Christ (2 Cor. 3:14-18) then I’ll want to spend as long with the text as possible, praying over it, drinking it in, listening to his message as carefully as I can. Then, as I stand in the pulpit I can be confident that it is God who will speak to wound and save. The evil one will do everything he can to get the Bible in the pulpit shut. He’ll want us to put the focus squarely on ourselves. Because he knows that when we open God’s Word and listen to the Spirit we will see Christ and be free indeed. 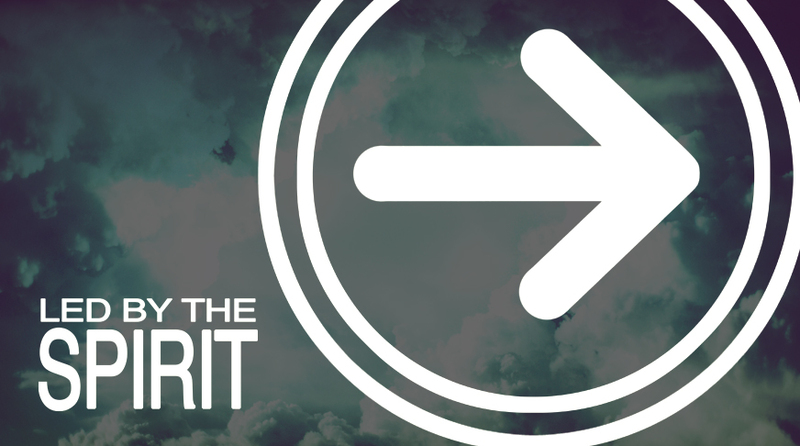 Are we letting the Spirit lead our preaching?